Imagine you are planning a trip to an adventurous destination, you have stuffed all your necessities inside a bag, booked your travel tickets and the whole travelling path is decided but suddenly you realise or get intimated by your travel airlines while boarding that “your flight has been called off”. Your reactions are definitely going to be unpleasant and hopeless. You may even start thinking, how you can possibly claim for cancelled flight without standing long in an argument with the airport staff. If you are amidst the blue and are questioning yourself about how I can easily get cancelled flight compensation to fill the cracks in the pocket- you have landed up at a right place. 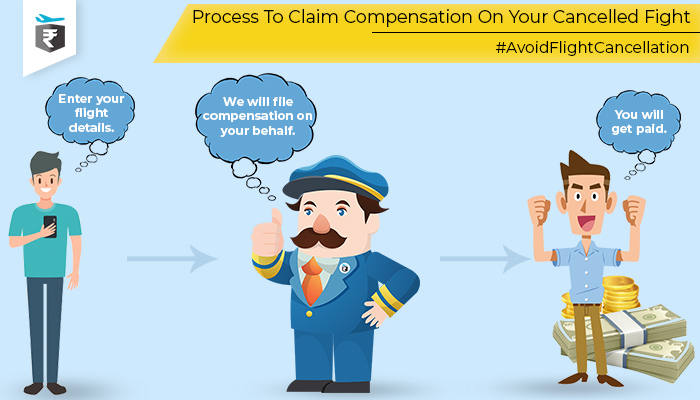 Do you have any idea about the eligibility and amount to claim compensation for cancelled flight? If no, then the following article will provide you with the easiest steps to swiftly get the sum without any interaction with the authority. Visit refundme.in, herein you will find the small widget with the blank fields. There enter your – Airline code, Flight Number, Departure Date and condition of denied boarding. Click on the “Next” button and from there your complaint token will generate with the website. No more hassles of standing in long queue to deal with the strict authority since the refundme.in team will take the responsibility. The team will suit the claim on the basis of DGCA approved guidelines and eligibility after introspecting and suspecting the conditions of the claiming air passengers. While the team will take the stress, you sit back and wait for the message “your account has been credited with certain sum”. The message in itself is a bliss for air passengers who had to go through such a sudden turmoil and disappointment. All you have to do is relax and celebrate the flight cancellation compensation that you were unsure about. It is important to stay ahead in time and know what passenger rights prevail in the surroundings. 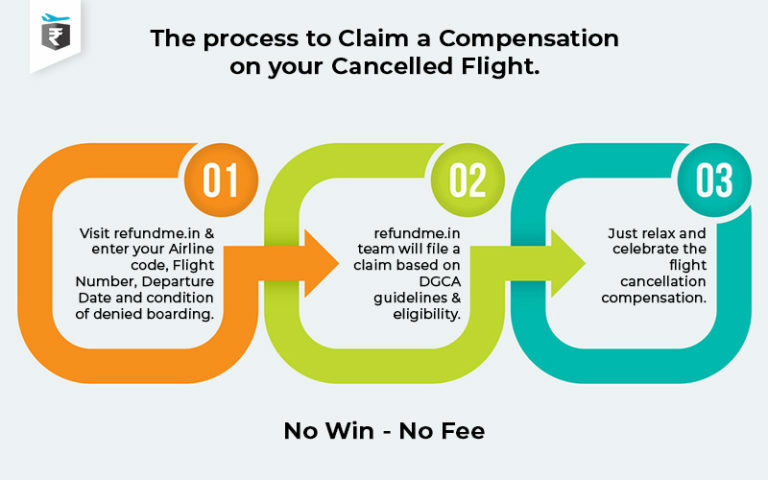 With refundme.in, know what you are obliged to know and get reimbursed with flight cancellation compensation India without moving a pedal.